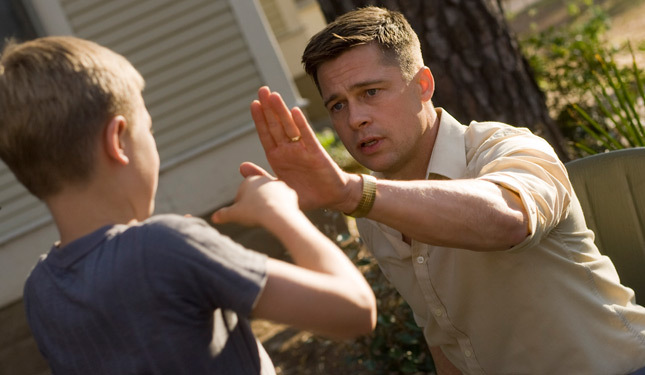 The Tree of Life made the Honolulu Weekly's list of 'Best of the Year' in film. Find out what the others were and what else we should see before we close out 2011. I think it’s actually a pretty good list with a range of films from both mainstream Hollywood and independent/art house filmmakers. Of the eleven films listed here, I haven’t seen four of them. Here are a few brief thoughts on the ones that I have seen and where they could potentially stand on my list . . . 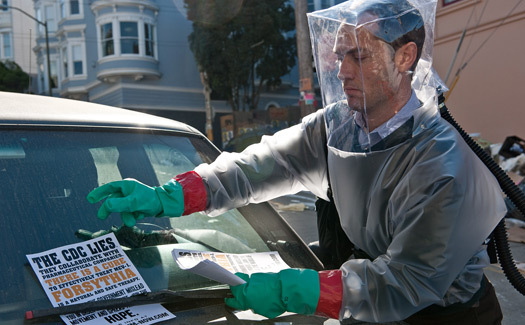 I thought Contagion was a really well put together film. In a movie about a deadly disease that wipes out a good number of the world’s population, director Steven Soderbergh (like any good surgeon) worked with clinical precision and constructed a gripping narrative. Even with a phenomenal cast, the movie keeps you at arms length as you trot the globe following each of the characters. A good film, but I don’t know if I would go so far as to call it great. The Debt actually surprised me a little. I was expecting one thing from having watched the trailer, but got something else when I realized exactly what ‘the debt’ was. With some thrilling moments and great performances by Helen Mirren and Jessica Chastain, it’s definitely a solid movie to check out. 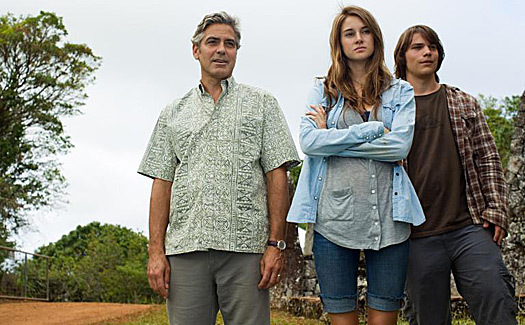 Ok, I’m sure you’ve heard many people wax poetically about how great The Descendants is (myself included) and it may be a homer pick since it was filmed in Hawaii and is a movie ABOUT Hawaii, but Descendants has already locked up a spot on my ‘Best Of’ list for 2011. Just go out and see this movie if you haven’t already. 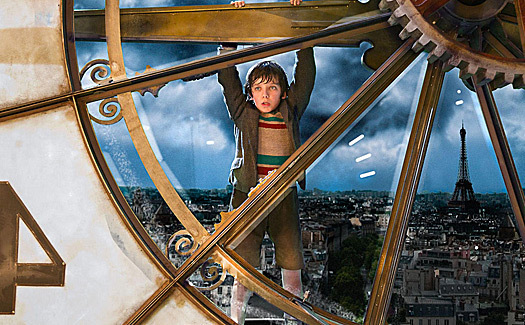 I really enjoyed Hugo. Again, this was another movie where I was expecting one thing, but got something else. The story is just so great and I have to say . . . you need to see this movie in 3D if at all possible as it’s probably the best use of the format since Avatar. Scorsese I feel can do anything at this point and I wouldn’t be surprised if his next film is him walking on water. You’ve got Eastwood being Eastwood and DiCaprio being DiCaprio, ie: decent direction and performance respectively. 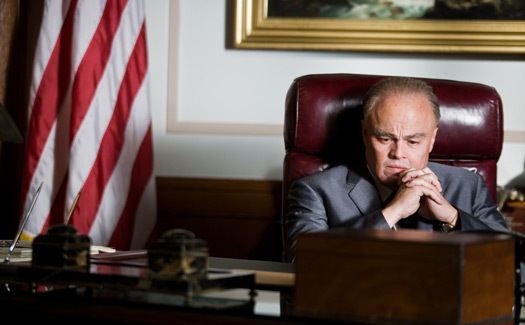 While I thought J. Edgar was an interesting character study, I thought it was a just ok biopic about the former head of the FBI. 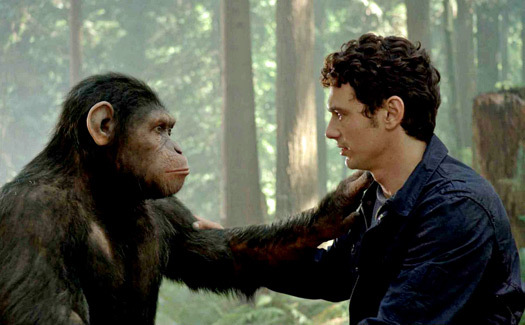 Rise of the Planet of the Apes was a pretty solid entry from a franchise that we all thought was dead. While the plot was entertaining and engrossing, the special effects and the performance capture were definitely awe-inspiring as well. I’d buy the blu-ray just to find out how they made this movie. 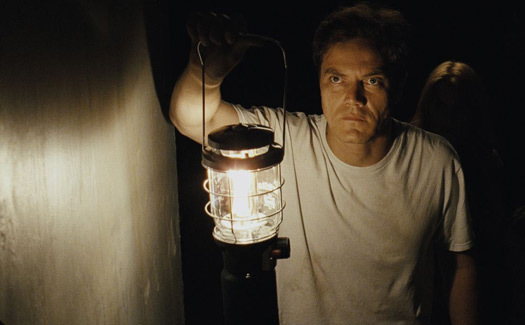 While you have a really great performance by Michael Shannon and the always great Jessica Chastain, I thought the movie dragged on for far too long. I believed in the unravelling of Shannon’s character, but after a certain point I thought things just got repetitive. Then, when things finally start to come together in the last half hour of the film, I really didn’t know what to think by the time I got to the end (I know it’s vague sounding, but I’m trying to list spoilers). One of the things I liked most about the Weekly’s list is that there’s acknowledgement that we haven’t yet seen all of what 2011 has to offer. It’s right there in the title (Best of the Year . . . So Far). Sadly for Hawaii, being a cinephile out here means having to wait a while longer for smaller art house and independent releases. Though we do get all of the major Hollywood releases, it’s these smaller films that can sometimes be really great discoveries. I think one of the reasons why average moviegoers are afraid to see indie/art house films is because they fear that they won’t be able to understand them. Granted, there are indie films out there that are stereotypically “artsy” and will leave you frustrated. However, for everyone of those, there’s also a Slumdog Millionaire or The King’s Speech is understandable and entertaining that you just need to take a chance on. For the most part, the rest of the films from 2011 that I want to see are of the indie/art house variety. However, take a look at these trailers and tell me that at least one or two of these choices doesn’t interest you. Ok, so it doesn’t look like the happiest of stories, but you’ve got Tom Hanks, Sandra Bullock, and an awesome ensemble cast tugging at your heartstrings in a story about a son trying to discover what his father left behind for him. Bear with me, yes the film is based off of one of Shakespeare’s lesser known plays. BUT, it’s got Leonidas vs Voldemort in it (Butler vs Fiennes). How great does that sound? And it seems like there’s some action and a whole lot of political intrigue to be a pretty good watch. Ok, if you can look past all the Oscar-baity quotes in the trailer, Rampart looks like a great character study of a corrupt LAPD officer. Woody Harrelson is no stranger to great dramatic fare and he looks really good as this cop that seems to be spiraling out of control. By all accounts, this is THE Oscar front runner for best picture and that’s the main reason why I want to see it. However, there’s one big thing you need to know about The Artist . . . it’s a silent film. I’m not sure exactly when the last time any of us have seen a silent film, let alone one in a theater, but I think that’s one of the best reasons to check it out . . . it’s something none of us have probably seen before. I have to admit, I wasn’t all that into Tinker Tailor when I first saw the trailer. Over time though I’ve actually opened up to wanting to see this slow burn thriller about a mole in British Intelligence. I don’t think it will be for everyone as the pace will probably be slower that what the average person is used to, but it’s got a great cast and is getting Oscar buzz. Though it’s been in limited release since early December, I’m hopeful it will hit Hawaii shores in another week or two. Probably the most mainstream selection out of what I still want to see, I think We Bought a Zoo is definitely going to be a crowd pleaser. Zoo was done by Cameron Crowe, the guy that brought you Say Anything, Jerry Maguire, and Almost Famous; and though sadly his last two outings weren’t that hot (Vanilla Sky & Elizabethtown), from what I’ve heard Crowe seems to have returned to form in this film. So, that’s about it for 2011 films. There are a few more movies out on DVD that I’m going to try and squeeze in before I put together my final list. Hopefully I can get to that around late January, right around the time Academy Award nominations come out. If you have any considerations I should be aware of, I definitely welcome those in the comments or online. Just let me know of any good stuff I might be missing out on. Unless some earth shattering movie announcement happens or I get some really creative juices flowing before midnight tomorrow, this will probably be my last blog post for 2011. If you’re still reading this post by now I just want to thank you for sticking around and for checking out any of my other posts this year. Have a safe and happy new year and we’ll see you in 2012.